I woke up way too early this morning--but this time not because my six-year-old came in to tell me she was hungry at five-something o'clock. This time it was with very good reason: to travel into New York City to participate in and perform at an international conference called Performing the World. 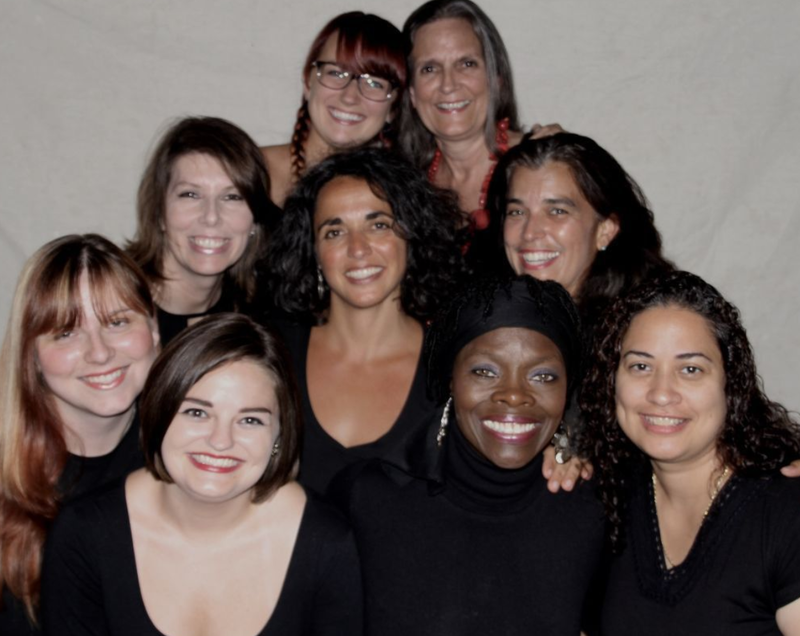 I am not alone, I'm with my social justice theatre troupe, The Meta Theatre Company. 1. The fact that it exists at all. What are the odds that there would be something that existed that combined my passions of writing, performing and social justice? 2. The fact that it exists here, where I live. I'm not just saying that because this is where I live and so that's convenient. I mean the county paper is called the "Democrat" and that's more than a bit ironic. It's not a very . . . progressive area overall. 3. That fact that it exists here, where there is a Correctional Facility for Women, and that we have been able to get into that prison to perform. Even better is that we have been able to run a weekly writing group with them and have written a full-length show along with a group of incarcerated women. It's not always easy to get permission to do these things, and somehow we've gotten it. 4. This group has changed a bunch over the past four years: we've had some long term members who ended up needing to take a break, we've had some short term members for specific shows or projects. We also have a core group that's been in it, think or thin. You know what we haven't had? Much drama. (Well, besides on the stage, of course . . . ). And it's wonderful. 5. That time a woman watched one of our shows and came up to me to tell me that she thought I was a great actress. That was nice, but what was even better was when she continued to tell me that I had helped open up and change her mind. She used to judge immigrants and was rude to them when their English wasn't coming easily. She told me that she regretted her past behavior. Theatre can change minds and change lives. And this theatre troupe has absolutely changed mine.